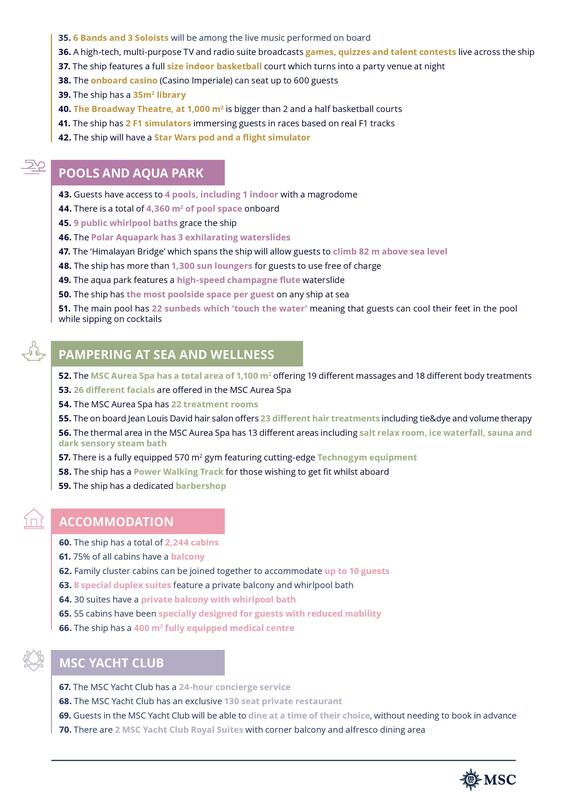 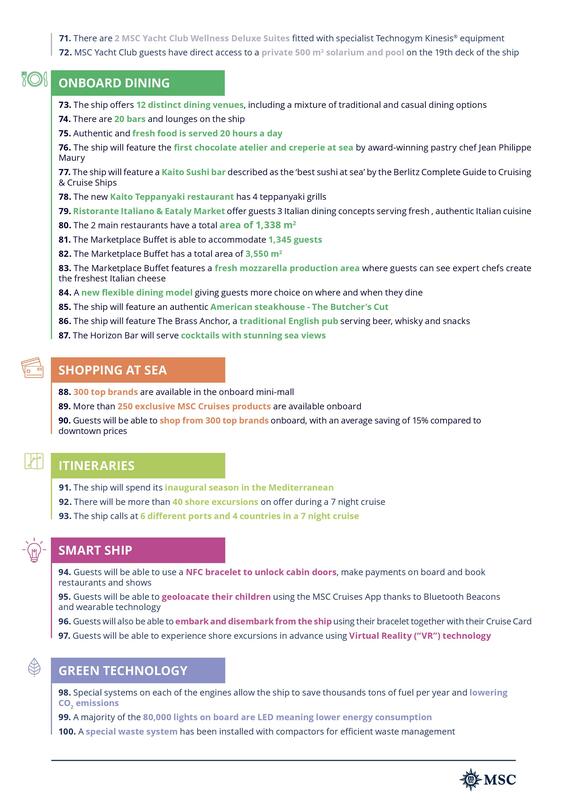 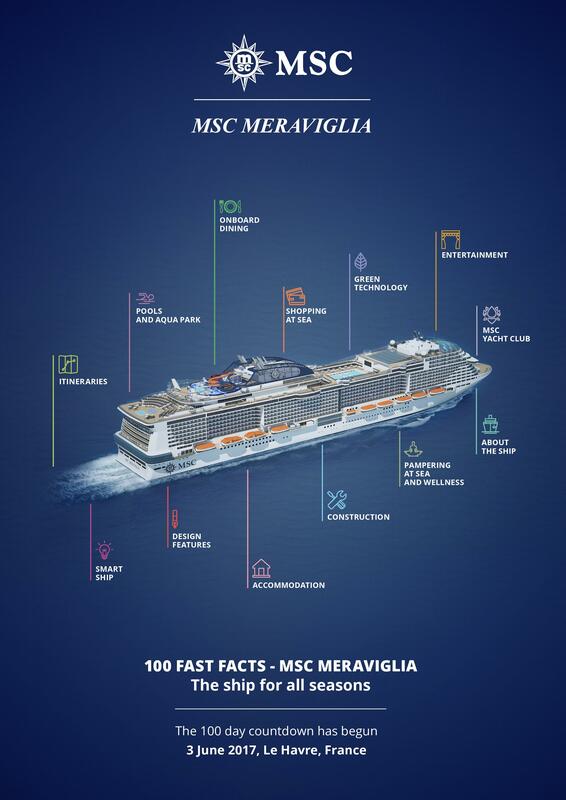 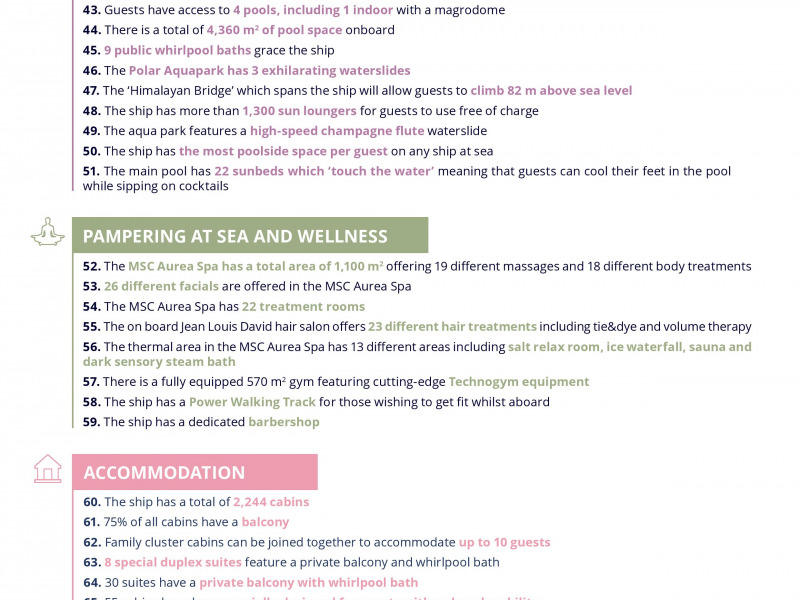 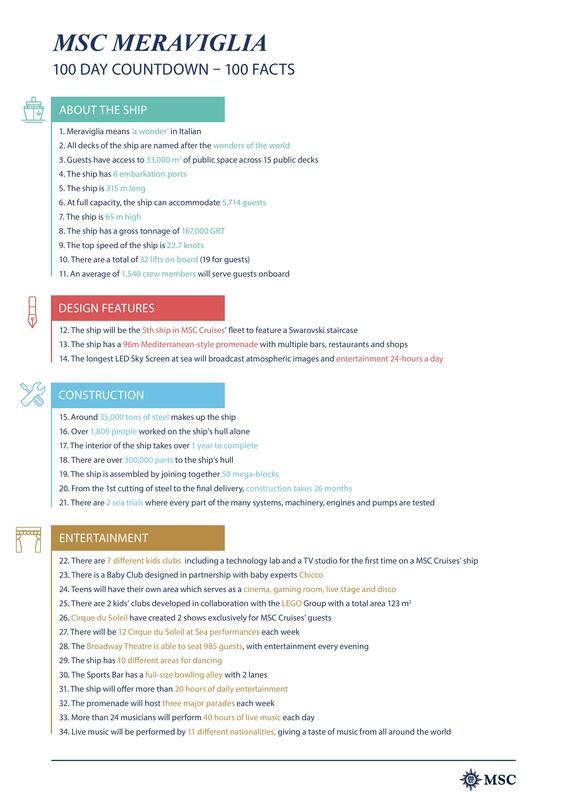 With just 100 days to go until the christening of MSC Meraviglia – “the ship for all seasons”, discover 100 interesting facts (attached) about MSC Cruise’s new flagship and next-generation mega-ship. 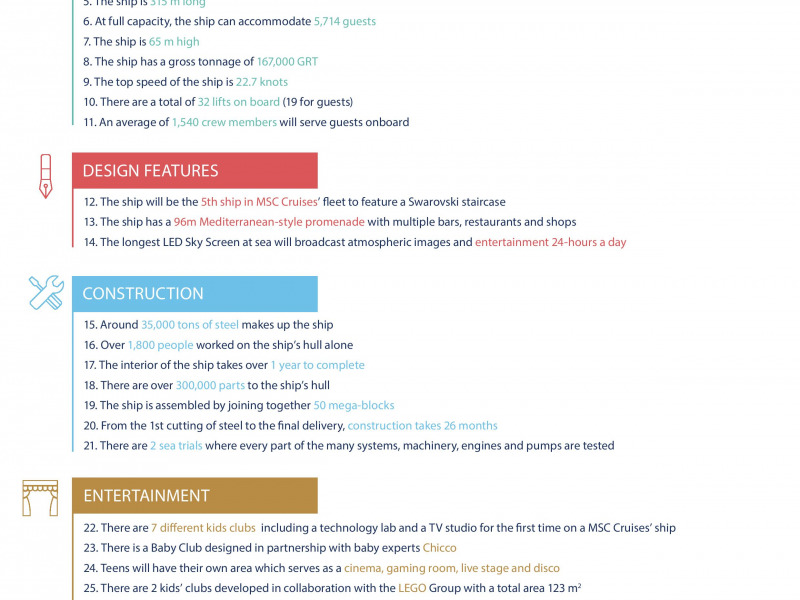 One of just four ships currently under construction and the first of 11 new ships set to come into service over the next ten years. 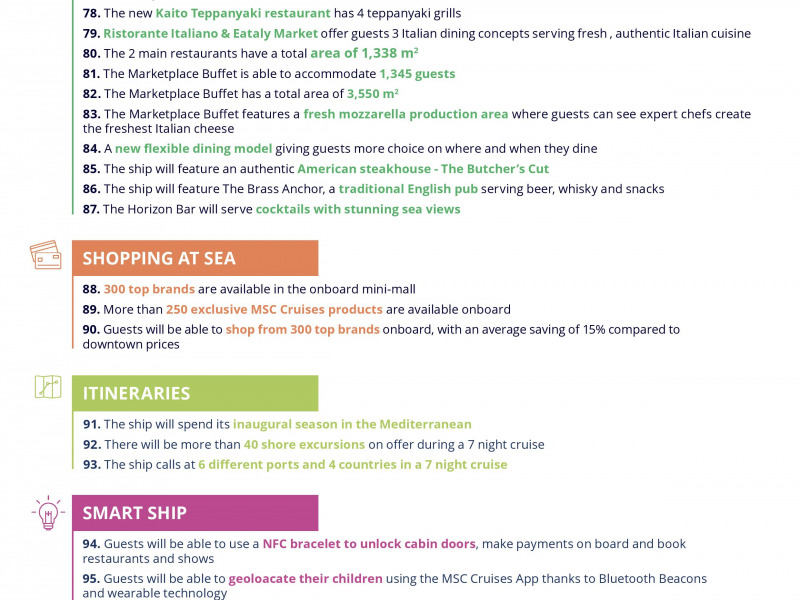 MSC Meraviglia has been designed to meet the needs of today’s cruise guest and is set to become this summer’s hottest destination at sea whilst spending her inaugural season in the Mediterranean. 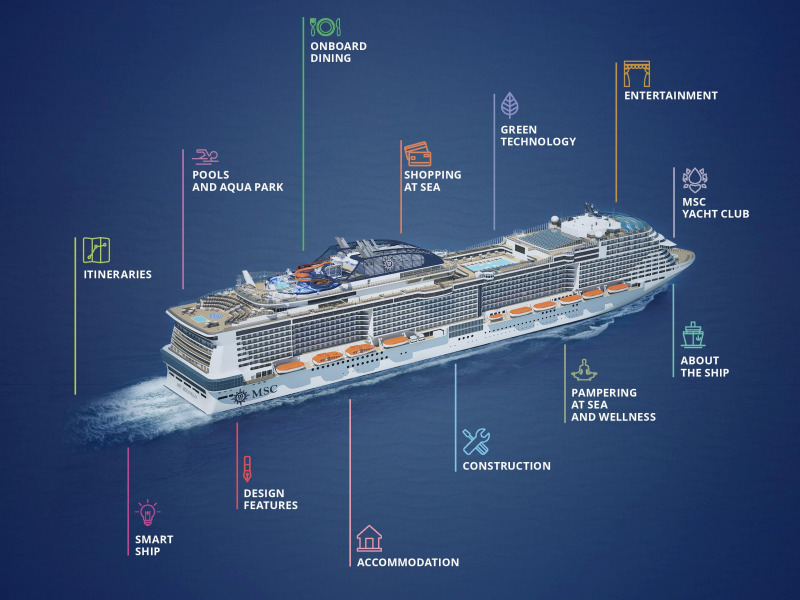 • A Mediterranean-style promenade featuring multiple bars, restaurants and shops, as well as the longest LED Sky Screen at sea broadcasting atmospheric images and entertainment 24 hours a day.